Pen:Pelikan M400 Tortoiseshell, Extra Fine nib. I had hinted via this website that there is a ink I have had that I was unsure of wether I actually liked it or not. This is that ink in question. Now that I have used it a lot more I feel I can give a more detailed review. For a green ink I actually find it to look very washed out in colour. It doesn't really have a lot of depth to it. You really have to shade it heavily to get anything that resembles a dark green. While shading I also noticed what looks like hints of a yellow(ish) tone appearing in the lighter areas. One property of this ink that really impressed me is the drying time. It drys very quick and in my tests (10, 15 and 20 seconds) it didn't smudge once. This is my second Pilot Iroshizuku ink I have reviewed and it dried just as fast. What makes this more impressive is that it lays down with the looks of a wet ink. Comparing this to Diamine Meadow which I reviewed I feel this ink isn't really for me. 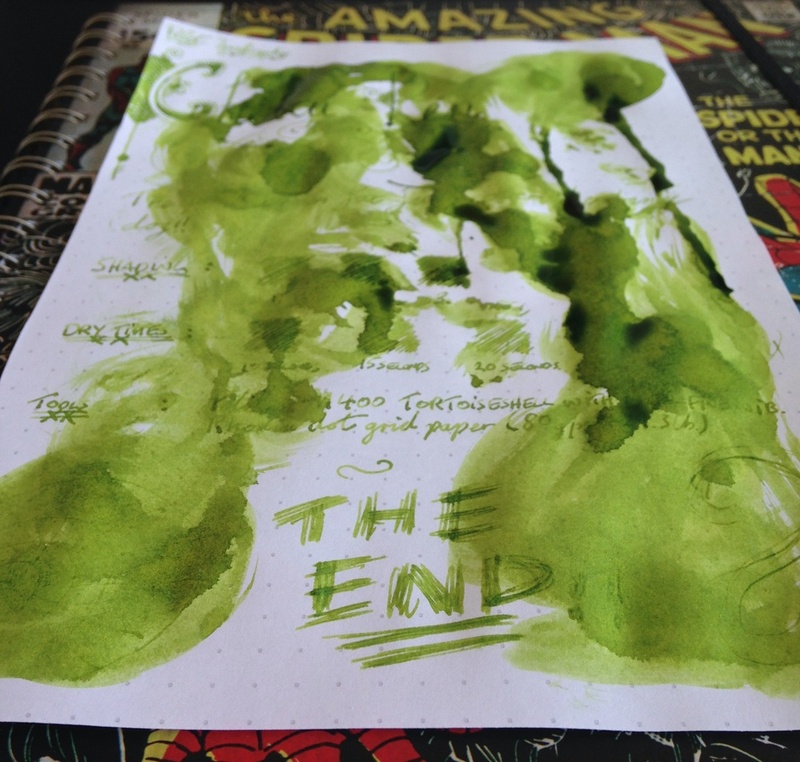 Overall I just find it to pale whereas Diamine Meadow has a nicer shade of green by default. I might go back to this ink at a later date but for now I have to give it the thumbs down.